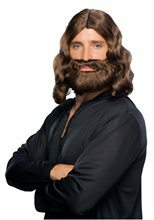 Brown Biblical Wig and Beard Set.Includes: One Brown Biblical Wig and Beard.Available Size: One Size Fits Most Adults. *Costume and Accessories Not Included. Sold Separately. 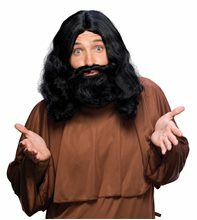 Black Biblical Wig & Beard Set.Includes: One black biblical wig and matching beard.Size: One Size Fits Most Adults.Complete your disciple costume with this thick, black biblical wig and matching beard with moustache! A great addition to any biblical costume! *Costume Not Included. Elf Hat With Beard & Ears,Elf Hat with Ears Hair and Beard is perfect accessories for that Christmas party. Pick this accessory this Christmas and you will definitely be the talk of the party! 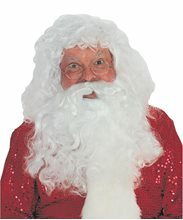 !Includes one Elf Hat with Ears Hair and Beard.Check out store for our other costume accessories. 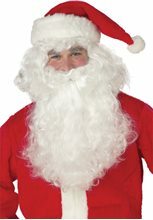 Santa Hat with Beard and Moustache.Includes: Santa Hat with Beard and Moustache.Available Size: One Size Fits Most Adults. *Costume and Glasses Not Included. 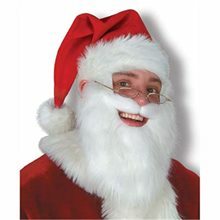 Accessories Sold Separately.Complete your Santa costume with this awesome all-in-one Santa Hat with Beard and Moustache! 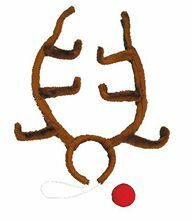 Rudolph Set.Includes: Reindeer antlers and nose.Available Size: One Size Fits Most Adults and Teens.WARNING!! : CHOKING HAZZARD - Small parts. Not for children under 3 years. Recommended for ages 14 and up. 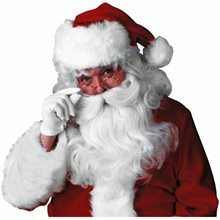 Keep away from flame.Have some fun this holiday season! Whether you are participating in reindeer games or helping Santa guide his sleigh through the snow and fog, you are sure to look the part in this Rudolph Antlers and Red Nose Kit. 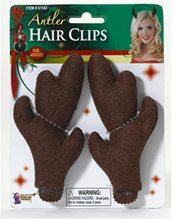 The antlers feature a convenient elastic strap to go under your chin. Great for both teens and adults. 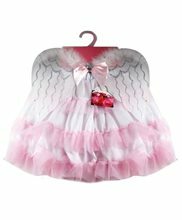 Angel Tutu Accessories Kit.Includes: One pink and white skirt and pair of wings with bow. Available Size: One Size Fits Most Children. *Costume and Accessories Not Included. Sold Separately. One size fits most children since they stretch. For children ages 2-6 years old. White Angel Accessory Kit.Includes: One Pair of White Angel Wings and Halo Headband. Available Size: One Size Fits Most Adults and Teens. *Costume and Accessories Not Included. Sold Separately. Complete your angel look with this White Angel Accessory Kit! Comes complete with angel wings and matching halo headband.